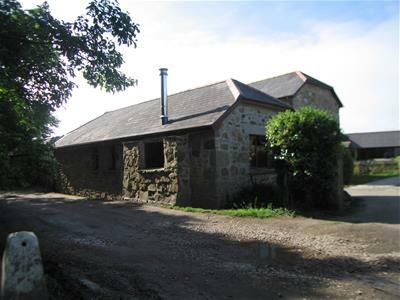 This is a converted former farm building in a rural setting within an enclave of houses that were once part of Tregurtha Farm. The property is completely detached and self contained and consists of a living room/kitchen, a bedroom and a shower room. There is electric heating and a multi-fuel burner in the living room. Outside there is a garden and also a workshop/garage as well as parking for two cars. The property is heated by night storage radiators. £95 Reference Fee Per Adult. Available from the middle of April unfurnished for a long let.